Founded in 1794, the University of Tennessee, Knoxville is a public land-grant research university in Knoxville, Tennessee. It is the flagship campus of the University of Tennessee system. It is first public university chartered west of the Appalachian Divide. The university is affiliated the Howard H. Baker, Jr. Center for Public Policy, the University of Tennessee Anthropological Research Facility, and the University of Tennessee Arboretum. It is also a partner of University of Tennessee Medical Center. The university receives students from 50 states in the US and from more than 100 countries across the world. The university comprises of 11 colleges are: Agricultural Sciences and Natural Resources, Architecture and Design, Arts and Sciences, Haslam College of Business, Communication and Information, Education Health and Human Sciences, Tickle College of Engineering, Law, Nursing, Social Work, Veterinary Medicine (Graduate Only). 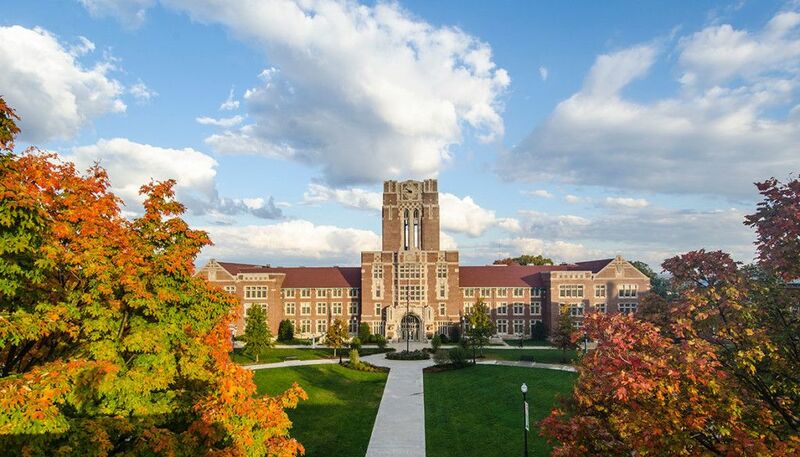 The most popular majors at University of Tennessee include: Business, Management, Marketing, and Related Support Services; Engineering; Social Sciences; Parks, Recreation, Leisure, and Fitness Studies; and Psychology. The total student population at the university is more than 27,000 students of which over 21,000 are enrolled in the undergraduate programs. The student to faculty ratio at the university is more than 17:1 and the acceptance rate is 76%. 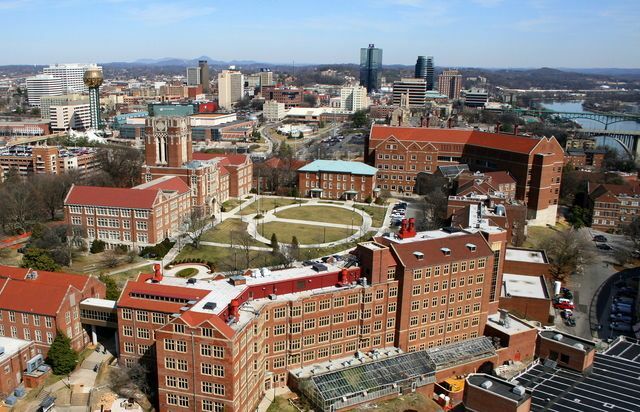 The University of Tennessee is ranked tied for 46th among public universities of America and tied for 103rd among all United States universities by U.S. News & World Report in its 2017 rankings and was categorized as ‘more selective’. UT's agricultural research programs are considered to be among the most accomplished in the nation, and the School of Agricultural Sciences and Natural Resources is home to the East Tennessee Clean Fuels Initiative, recognized by the United States Department of Energy as the "best local clean fuels program in America". The Aerospace and Defense MBA is provided for a national audience of professionals from defense and commercial aerospace organizations who have five years of work experience. The program provides a solid grounding in the broad range of business functions. In addition to the traditional Executive MBA curriculum, the program also offers specialized areas of focus (e.g., value stream integration, lean manufacturing, acquisition processes, and industrial statistics), providing students the opportunity to choose an area relevant to their career goals within the context of the aerospace and defense industry. This mix of topical coverage is ideal for individuals with technical backgrounds who are transitioning into program management where business and leadership skills are critical. A bachelor s degree from an accredited, four-year program, Minimum undergraduate GPA of 2.7, GMAT/GRE scores, 550 on the paper-based TOEFL; 80 on the TOEFL iBT or 6.5 on the IELTS. Official high school transcript(s), Standardized test scores, Essay, Optional Recommendations (academic, professional, or personal), Optional Personal Statement, TOEFL score of 523 on the paper-based test, or 70 on the Internet-based (iBT), IELTS minimum score of 6.5. The Department of Philosophy offers a program in which qualified students may earn both a BA and MA in philosophy in five years. This is accomplished by applying 9 credit hours of approved graduate courses to both the BA and MA. Interested students typically apply for conditional admission to the program during, or immediately following, their third year of undergraduate study. Understanding the complexities of today s world and the value of international relationships requires knowledge of both current realities and timeless cultural traditions. A major in German therefore combines thorough language training and the study of all aspects of German life and culture. The Department of Modern Foreign Languages and Literatures is dedicated to producing well-trained, liberally educated German graduates who are prepared either to go on to graduate training to become language professionals or to use their language skills and understanding of the cultures and literatures of the German-speaking countries in such other fields as business, engineering, architecture, law, and just about any area in the social sciences or humanities. The annual cost of living at The University of Tennessee is $10,300 approx.